Even though I write all my own writing lessons and unit plans, I don't do it completely on my own. Every lesson is based off of the Lucy Calkins' Writers Workshop model. I have been teaching writing this way for 8 years and counting, and it hasn't let me down yet! After a few years though, I started to realize that Lucy doesn't tackle much in the way of how students should organize their work throughout the writing process. So, since organization is a huge thing with me and I strive to help my students to either become well-organized or stay well-organized, I had to address this need within my favorite part of the day, Writers Workshop. One thing Lucy is a stickler for (and I love!) is that students keep a Writers Notebook with them at all times and use it brainstorm their ideas. This is a place for them to complete brainstorming lesson tasks as well as a place for them to jot down ideas, etc. throughout their days, both at home and at school. However, beyond brainstorming, there isn't much said about how to keep track of materials. What happens during the draft, revise, edit and publishing stages?! I implemented a system in my classroom that has worked well for two reasons, one it is simple AND two it involves a binder and dividers and kids LOVE binders and dividers! Something about a binder makes them feel a little bit older and I enjoy finding a new favorite one every school year,so it is a win-win. Check out the short video below to get a look at exactly how I organize my students for Writers Workshop. 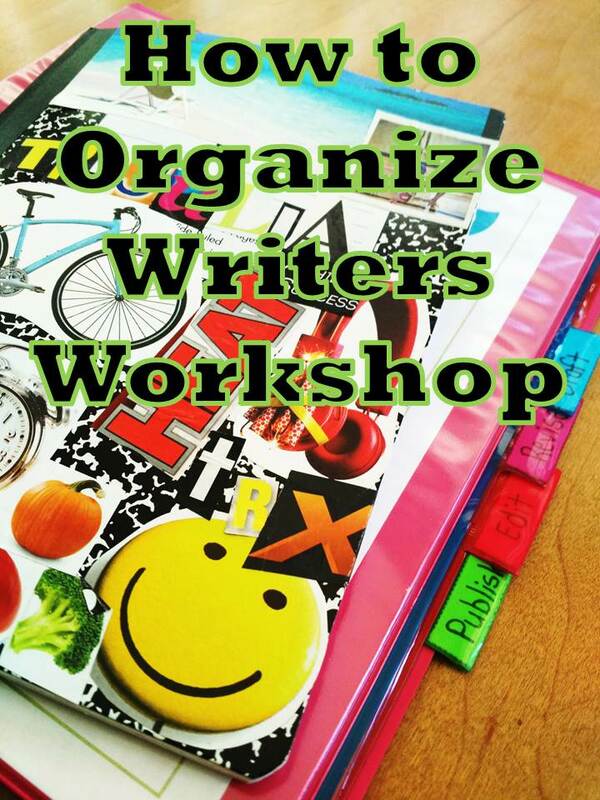 How do you organize your students for writing? Any favorite materials on your school supply list?